The idea was to create a structure where people could come to learn about an areas rich ecosystem. The structure would give the visitor an opportunity to, in turn, have a deeper understanding of themselves and how that correlates with natures cycles. A learning center with space for classes, lectures, and performances. A Museum for exhibitions from local and international artist, designers, architects, and educators. The entirely cast concrete structure moves with the topography. Sections shaped like ribbons, dive in and out of the terrain, like the local vegetation. Inside and out soothing concrete walls and floors undulate throughout, delineated by areas of rough or textured to define space. A large water skin at the front of the structure and smaller water features within, positioned to catch prevailing winds to cool and circulate through out this passive structure. The buildings concrete shell buried into the earth also helps insulate and keep the ares cool and prevents the need for mechanical cooling systems. Solar, water recycling, are also used in the structures operation, reducing the energy consumption from local municipality. Large glass openings allow for natural lighting throughout and views of the water and surrounding nature. Wood slatted screens made from a local hardwood Nara, that had been felled by storms or age, and forested by Aeta's, the local indigenous people. These hanging screens that are backlit create more intimate spaces within the large open space. This wood treatment is repeated for the benches and seating in classrooms and auditorium. The Hanniel Christian Academy school project is designed not only to help expand the classroom facilities of, but to serve as a learning environment to teach people how to integrate our built environment with the natural one. The learning center is designed to give students a visually exciting and comfortable place to learn a traditional school curriculum, and to inspire creative solutions and “thinking outside the box” for eco-friendly endeavors. The words: “Reduce, Recycle, and Reuse” need to be ingrained in our students’ vocabulary. We see the expansion of this learning center as the first phase to other components including rainwater collection, wastewater treatment, alternative energy sources, and additional organic farming that will enable the school to become more self-sustainable. The goal is to teach people about sustainable communities. Because of catastrophic changes in the environment brought on by man, it is imperative that we make changes in the way we build structures. These can be changes that teach students not only behaviors that would positively impact the environment, but also the many opportunities these challenges will create for the future. 1. Recycled ISO shipping containers are prefabricated, compact, sturdy, weather resistant and can be for permanent or temporary use. These containers are affordable because they are mass-produced. Its usage is environmentally friendly because it recycles and reuses surplus. They can be configured as building blocks into unlimited spatial combinations. 2. Planted roof gardens and vertical green screens will provide not only aesthetically pleasing structures that introduce nature into the built environment, but also provides insulation from heat and carbon reduction. 3. All classroom planted roofs will collect rainwater in tanks that in turn will be used to assist in landscape irrigation and prevent storm water runoff damage and future opportunities for grey water system considerations. 4. A passive cooling system utilizing open-air circulation, ceiling fans, and the strategic set up of the shipping container structures will cool the classrooms without the need for energy-sapping air conditioners. 5. Electrical needs will be wired for future installation of solar panels that will provide alternative energy to entire compound by day. 6. The use of waterless urinals and dry composting toilets could aid with water conservation and lessen the load on the local sewer system. 7. Composting for soil enrichment will be used for organic vegetable gardens. 1. Solar power panels will aid or supply the school’s electrical power needs reducing consumption of fossil fuels. 2. Methane gas from a piggery can produce additional power source. 3. Biogas digester can be used to power electric generator. 4. Biogeo filter separates wastewater from sewage through a series of small ponds that in turn create food for schools to sell. A Biogeo filter can treat sewage. The filter collects the wastewater and through hydroponics uses it to grow vegetables and plants. The plants absorb the decomposed nitrogen and phosphorous as food for growth, then the remaining water goes to a pond to clean water for raising fish. The waste is used for fertilizer. Located on the scenic waterfront of Subic Bay, the Boardwalk Inn has provided reasonably priced hotel accommodations since acquiring its 25-year lease in 2001. Formerly called the Naval Lodge during the time the Subic Bay Freeport Zone was an actual American military base. The hotel initially opened with just ten rooms then added another ten rooms the year after. 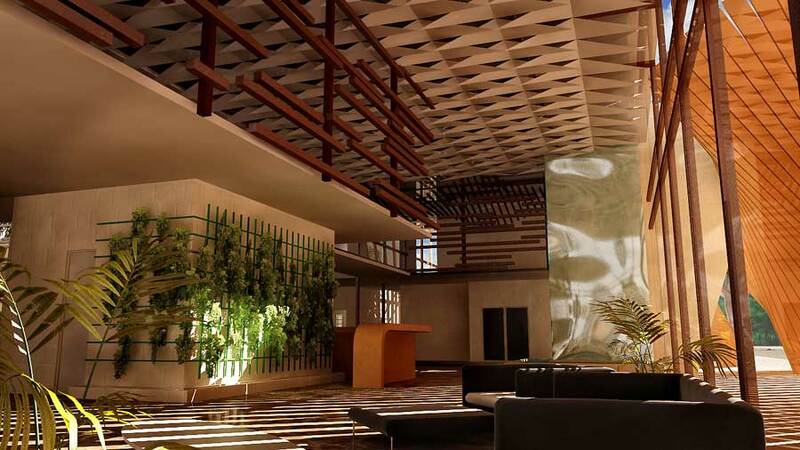 The dramatic re-design concept of the Boardwalk Inn is the first of its kind in the Subic Bay Freeport Zone. 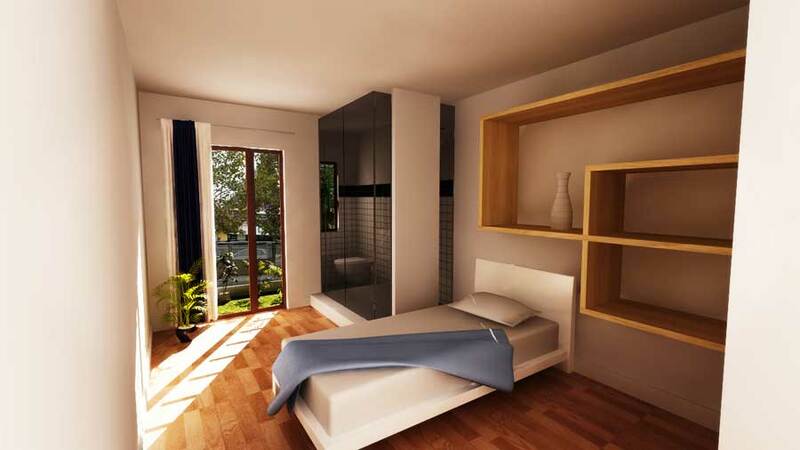 The design was kept simple, utilizing the more or less the existing layout to stay cost-effective. 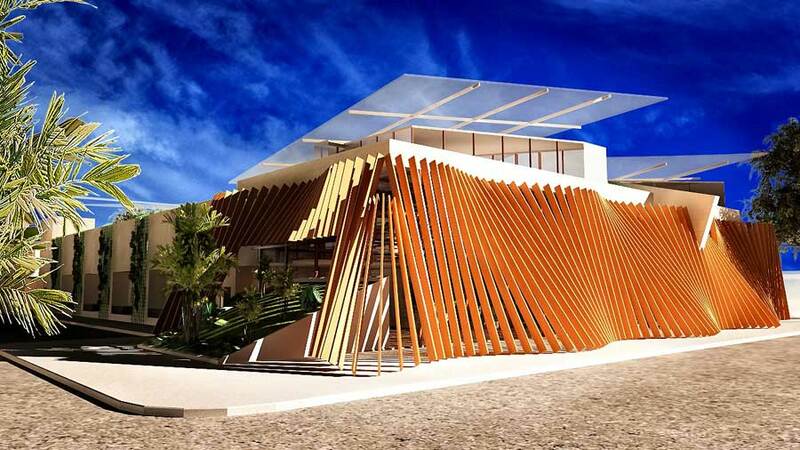 The result is an ultra-modern and eco-friendly structure that transforms the identity of the cozy, family-friendly hotel into a chic, beachside destination. The new Boardwalk Inn includes a thoroughly updated bar and lounge area, restaurant, new pool, additional rooftop terrace area with bay views, and guest rooms with brand new-appointed modern interiors. A planted rooftop, passive cooling, rainwater harvesting, and water recycling are a few of the environmentally friendly features that will be incorporated into the new construction. The soothing feeling of water is a dominant theme in the re-design that appears in the color scheme, wall murals, sculptural water installations, and new poolside lounge area. The development area for the Kalayaan Forest Homes is situated in a lush, hilly rain-forested area of the Subic Bay Freeport Zone (Philippines). These eco-friendly studio / homes float aboveground supported by cast concrete piers and are designed to fit tranquilly into their surrounding terrain, occupying a more minimal footprint in order to preserve as much of the naturally occurring jungle landscape as possible. Individual homes will be comprised of two to four separate building volumes under a single roof that will be arranged in various combinations depending on the site’s natural terrain. Covered deck space will connect each separate living area making the home very open to the natural outdoors. Sliding sunshade wall panels allow for natural airflow, eliminating the need for constant and costly air-conditioning. The sliding panels can also be closed into a locked position providing added security. Finishes will be minimal and modern, employing interior and exterior built-in furniture and architectural components, keeping the space simple and the focus on the natural surrounding landscape. •Passive cooling is a prominent feature of the homes through the help of planted roof gardens and climbing vine-covered exterior walls. •Large floor to ceiling glass sliding doors let in ample light eliminating the need for artificial lighting during the day. •Gray water and rainwater recycling systems will ease water consumption from the local municipality. •Homes with optimal positioning for solar energy capture will have the option for photovoltaic panel wiring.